As farm wildlife is in decline and housing and industry swallow up more habitat, gardens are becoming more and more important for supporting the ecosystem. 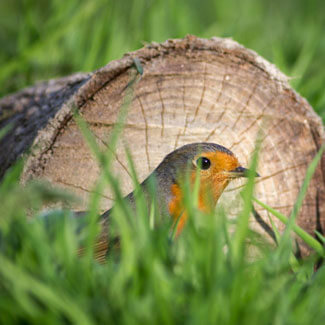 Here’s what you could do in your garden to help wildlife this autumn and winter. It’s inevitable that I should start this blog with lawns but they’re more important than you might think. The first thing you can do is think hard about all those autumn leaves you’re about to rake up. You ARE going to rake them up aren’t you? Because if not they will damage your lawn. 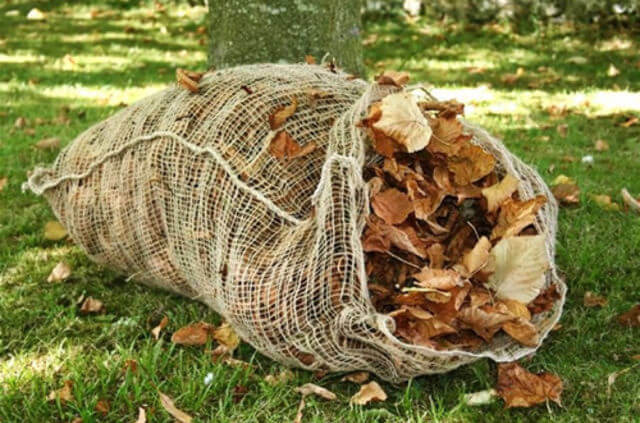 Instead of putting them all in the brown bin, why not put aside an area of the garden to make leaf mould? These composting bags are brilliant. Fill them with leaves and pop them is a corner of the garden. In 1 year you’ll have some lovely mulch. In 2 years you’ll have a really rich soil conditioner – for free. The bags break down too – so you won’t be using any unnecessary plastic. While they’re composting they’ll provide food and warmth for lots of different mini-beasts and insect eating birds. Wildlife gardening starts at grass roots. Literally. Without the minibeasts in the soil we would be living in a barren land. These creatures are AWESOME. The ultimate recycling machines. I’m talking about the invertebrates, fungi and bacteria that live beneath the surface of the soil. Some of them take dead stuff and turn it into plant food. Others capture nitrogen from the air and turn make it accessible to plants. And then there are the ones that attack and kill disease causing organisms and the ones that neutralise toxins. Awesome. Keeping your soil in good condition ensures that these creatures can thrive. So apply an autumn winter lawn feed that also nourishes microbes. Then top it up in the new year. It will pay off. When the soil microbes are healthy, your lawn will look amazing. Trevor Ford from Trevor Ford Landscaping has helped me enormously with this next section. 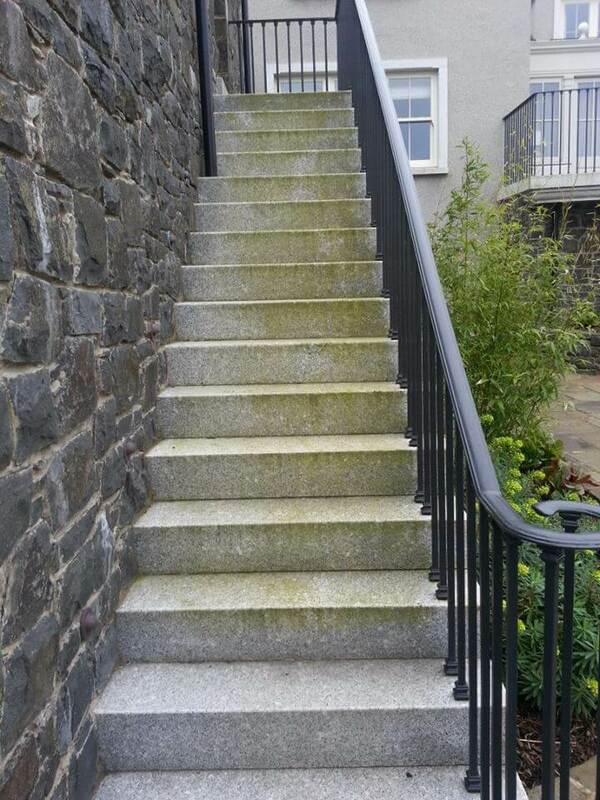 He’s a true inspiration and a brilliant landscaper, I can thoroughly recommend his work. It’s amazing who lives in your garden that you don’t know about. A really brilliant activity for youngsters is to give them a magnifying glass and send them out to see what they can see. They’ll be busy for hours and you’ll learn a lot from what they find. To help all those overwintering insects, resist the urge to tidy up. In your borders you’ll have lots of stems and seed heads where herbaceous perennials have finished their work for the year. If you can bear to, leave them where they are. Not just for the insects – they provide a little bit of frost protection for the crown of the plants too. The one plant I struggle with is ivy. I’m itching to remove it from walls but it’s one of the only plants that flowers in winter time. The flowers aren’t very exciting for us, but for bees that decide to stretch their wings on a warm winters day, ivy is a good source of pollen and nectar. Mulch everything. It’s great habitat for many of the insects that will attract birds to your garden and the exercise will warm you up. Now is the best time of year to trim your hedges. Nobody will be nesting in them and you’ll encourage thicker growth for next year. If your hedge bears berries, wait until they’ve all been eaten before you start pruning. A lot of what we’ve been discussing will feed the birds without you lifting a finger. If you want to encourage our feathered friends into your garden, do your research carefully. The wrong food is worse than no food at all. Forget Christmas for a moment, if you really want something to look forward to, plant some spring flowering bulbs now. Crocus are a big favourite with bumblebees, but I have noticed that in my garden the yellow ones get shredded by birds. Iris reticula is another nice one. It flowers as early as February and has a wonderful bright blue colour. Violets are another bee-friendly plant but they’re devils for invading lawns so maybe they’d be best in a pot somewhere. Nothing to do with wildlife, but while you’re thinking about the garden, don’t forget to book your lawnmower in for a service. 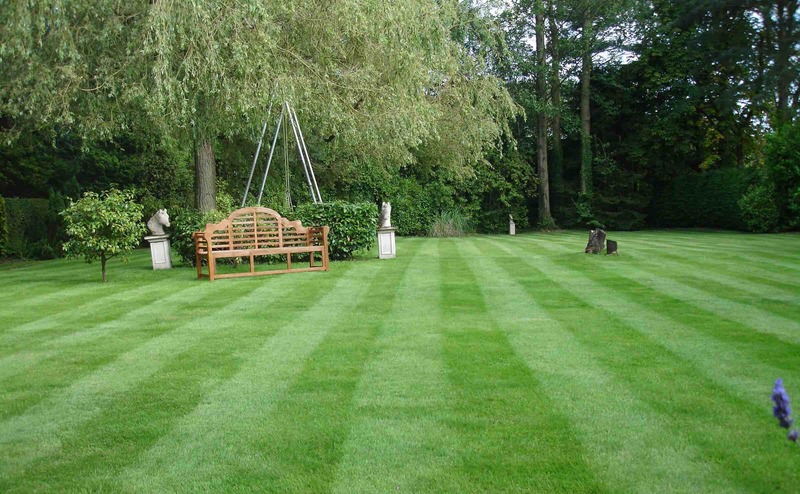 If your lawn has let you down this year, start thinking now what will make next summer a success. If you need any advice please don’t hesitate to ask.